- High Quality Nail Glue for Adhesion of Nail tips, and for Nail art. - Double walled container to prevent Glue from drying. 1. 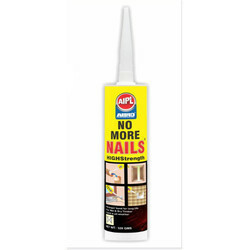 Polyfix nail glue is easy to apply, and easy to remove with glue remover. High Quality and strong formula nail glue that will keep your nail tips intact and long lasting. 1. Apply top coat after stamping nail art and let dry. 2. Apply KONAD nail glue to desired part where the 3D flower is to be placed. (Or apply KONAD Nail glue directly to 3D flower.) 3. Press & hold 3D flower and let dry. Our Nail Glue is one of the best supplied Nail Glue available in the market. It is better than others as it is odourless and doesn't leave any white marks behind and are easy to remove with acetone. It is medically treated and are safe for human use unlike others. 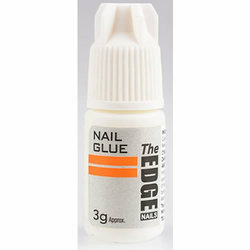 - High quality tip glue for fixation of nail tips. Better bonding and adhesion. Fast dry, quickly set in several seconds, high bonding strength, and force resistance. Nail tips & nail glue-american french tip. Best moderation techniques and are at cheap rates.